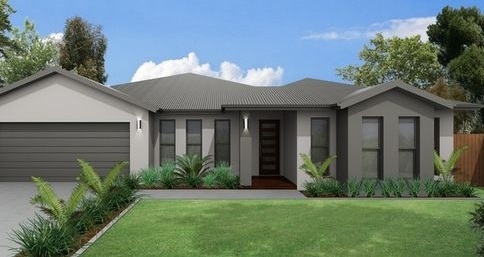 At All Sydney Rendering, we offer comprehensive cement rendering Sydney services and have a team of experienced renderers to provide the best results. If your property’s walls are made of brick or cement blocks, you need to cover the surface to protect the building material from the external elements and ensure moisture doesn’t seep into the property and cause damage to the walls. The best way to weatherproof and waterproof these walls is to apply rendering over the surface and form a protective seal over the porous building material. External Walls – Cement rendering in Sydney is commonly used on exterior walls because the material can protect the underlying brick or concrete blocks. Cement rendering will also ensure the external walls have a smooth and even appearance that is customisable and can be finished to your liking. You can paint the external walls, add texture, or ask us to apply colored cement. Coloured Cement Render – If you don’t want to deal with the hassle of applying a new coat of paint on your exterior walls after a few years, you can ask us to apply colored cement render. We simply mix a staining solution into the cement and sand rendering material and then apply it to the wall. The color is mixed in with the material itself so it doesn’t fade, chip, or lose its finish easily. If you want to change the color sometime in the future, you can easily apply a coat of paint over the colored concrete so you’re not stuck with the same design forever. Waterproof Cement Render – If waterproofing is a big concern for you and you want to protect your property from external weather conditions, we can apply waterproof cement render to your walls. This rendering mix has superior moisture resistant properties and will ensure none of it seeps into your property and causes water damage. We’re very careful during the process of rendering the wall and always look out for gaps, air pockets, and unevenness. This ensures water and moisture have no room to slip in. Cement Rendering A Brick Wall – Brick is a porous material and it must be either sealed or covered with a reliable rendering mix in order to keep your home protected from outside elements. We apply cement rendering on brick walls to make them more durable, resilient, and weather-resistant. Cement rendering on brick walls can also increase the overall value of the property by a considerable margin. Repairing Cement Rendered Walls – We don’t just apply cement rendering Sydney, but also repair cement rendered walls. Our expert will carefully examine the current condition of the wall to understand the true extent of the damage. Once they know, they’ll use the most effective techniques to repair the walls and seal the damage clearly. As you can see, we offer a wide range of cement rendering services so all you need to do is give us a call and explain what you need. We’ll handle the rest. Cement rendering can be expensive because the entire surface of the wall needs to be covered with good quality materials. We understand the financial burden this can place on you and attempt to keep the costs as low as we can. We’re aware of the market prices of cement and sand material and are familiar with the quality of products available. We’ll choose the best quality at the best price to get the right results. The cost of rendering can vary based on the size of your property, the number of stories, and special requirements. Also, the number of windows, the height of the building, and other such factors will impact the cost of rendering. We provide comprehensive quotes and estimates to our clients so you can understand all the expenses involved and make your decisions based on that. Our services are quite affordable and our team is always willing to help you get the right budget. We also don’t have any hidden costs in our quotes and will always provide reliable information. If mixed properly and applied well, the cement and sand without problems for several years, if not decades. The rendering is relatively easy and quick to repair so if the surface does develop problems down the line, we can fix it. This material is very customisable and will suit your design requirements and preferences well. If you want to know more about our cement rendering Sydney services here at All Sydney Rendering, don’t hesitate to give us a call at 0405 320 000 or use our contact us form. We’ll be happy to answer any questions you might have.